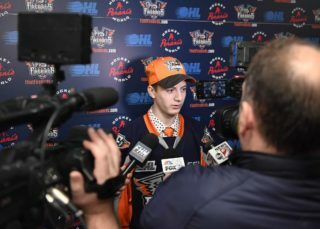 Toronto, ON – The Ontario Hockey League today announced that 48 OHL players have been listed by NHL Central Scouting in their Final Rankings for the 2019 NHL Draft which takes place June 21-22 in Vancouver, BC. 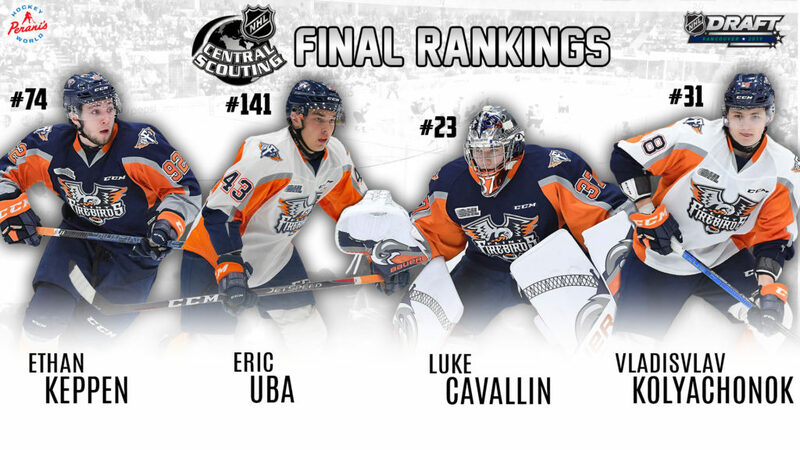 Flint’s Vladislav Kolyachonok (#31), Ethan Keppen (#74), and Eric Uba (#141) are among the skaters and Luke Cavallin (#23) is among the goaltenders in the Final Rankings. The Barrie Colts, Flint Firebirds, Kitchener Rangers and Windsor Spitfires lead the way with four players included on the list followed by the Hamilton Bulldogs, Mississauga Steelheads, Ottawa 67’s and Sarnia Sting with three. 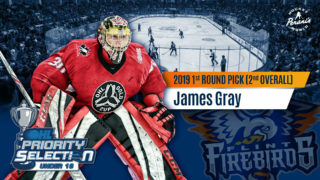 Since the Flint Firebirds’ inception four season ago in 2015, the club has now had 15 drafted or NHL signed players on its roster consisting of Will Bitten (Montreal), Dennis Busby (Arizona), Nick Caamano (Dallas), Connor Chatham (New Jersey), Ty Dellandrea (Dallas) Fedor Gordeev (Toronto), Kyle Keyser (Boston Bruins), Nick Mattinen (Toronto), Brent Moran (Dallas), Alex Nedeljkovic (Carolina), Alex Peters (Dallas), Vili Saarijarvi (Detroit), Kole Sherwood (Columbus), Jalen Smereck (Arizona) and Josh Wesley (Carolina). The 48 players includes 43 skaters of the 217 ranked by NHL Central Scouting in North America while five of the 31 goaltenders ranked are also from the OHL. The list of skaters includes 30 forwards and 13 defencemen. Eight of the top 31 players ranked are from the Ontario Hockey League led by 51-goal scorer Arthur Kaliyev (7th, Hamilton Bulldogs). Blueliner Thomas Harley (11th, Mississauga Steelheads) joins Philip Tomasino (14th, Niagara IceDogs), Nick Robertson (17th, Peterborough Petes), Ryan Suzuki (18th, Barrie Colts), Connor McMichael (24th, London Knights), Jamieson Rees (30th, Sarnia Sting) and Vladislav Kolyachonok (31st, Flint Firebirds) inside the top-31. The OHL led the three leagues with 43 skaters included in the rankings while also producing North American’s third-ranked goaltender in Hunter Jones (Peterborough Petes). The OHL’s 48 players are part of a larger Canadian Hockey League total of 130 players included in the final rankings. 50 OHL players were listed in NHL Central Scouting’s Midterm Rankings released in January, while 35 players from the OHL were selected in the 2018 NHL Draft including seven players selected in the first round.